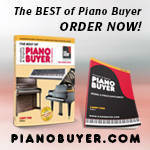 Register Log In Piano World Home Page Forums Piano Forum How many keys has a full size piano got? Is it 88? 115 registered members (AssociateX, Animisha, 1725237, AaronSF, AnnInMiami, agraffe, akc42, brendon, 23 invisible), 1,117 guests, and 4 spiders. How many keys has a full size piano got? Is it 88? I have an electric keyboard but it drives me insane, so I want to buy an electric piano with hammer action pressure sensor keys. Does anyone know prices/where I can get cheapest electric piano in UK? Also looking for music for Imagine by John Lennon. Yes. There are 88. Other than the music of John Lennon, I know very little of electric pianos or the UK. known as "sharps" and 52 are white keys. There are also some pianos made with 85 keys (or less) and some with more than 88! (The Bosendorfer concert grand has 92, the Imperial model has 96 ). The 88 notes span 7 octaves from low A to high A (+3 notes). There are digital pianos with 88 keys and weighted actions. I just found this site on google. 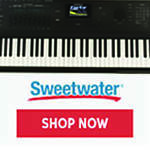 It's a UK site and has a listing of digital pianos on the left-hand column on the home page. Good luck! "Music, when soft voices die, vibrates in the memory." Other than that, they're there for the richer sound from sympathetic vibration/overtones I'm assuming? I was born the year Glenn Gould stop playing concerts. Coincidence? [b] (The Bosendorfer concert grand has 92, the Imperial model has 96 ). 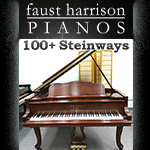 Check out the lively discussion about this we're having over at the "B�sendorfer/Steinway" conversation. Fun!